This week’s weekly meal plan is a mix of go to favorites and a few recipes that looked too good not to try. As always, I try to find recipes that are easy, healthy, and family friendly. The mini cheesesteaks are insanely good. And it’s all in the roll so if you have a Trader Joe’s near you, you need to buy the half baked rolls. To be honest, I can’t remember if they are called “ciabatta” or “artisan”, but they are pictured below so just buy the ones that look like that! Happy eating! Bake artisan rolls as directed. Check them a minute or two early because you don’t want to overcook them. The key to these being SO delicious is the crunchy outside and a nice, soft inside. Meanwhile, season shaved beef with a few shakes of seasoned salt then sauté over medium/high heat for a few minutes until cooked through. 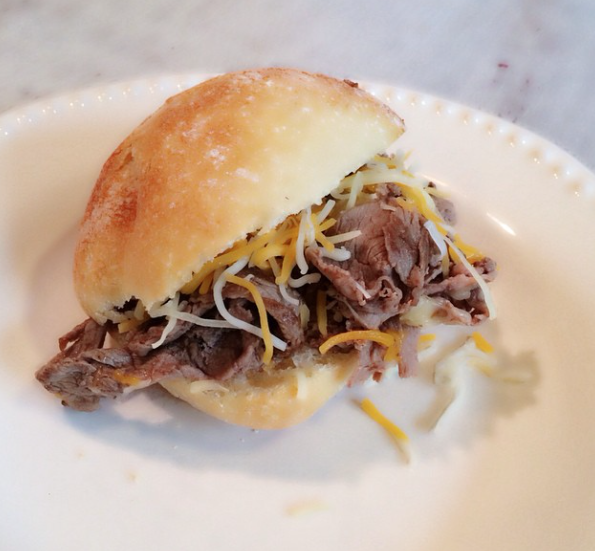 Once cooked through, slice the rolls, add beef, onion (optional) and a generous amount of shredded cheese. Friday: Pizza Night… we usually buy it, but if you are up for making it, this looks great! 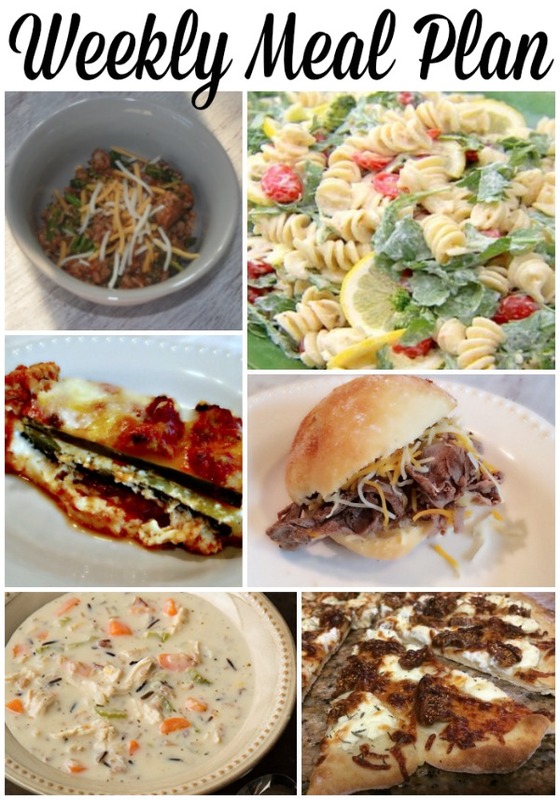 For more weeknight recipes click here or check out last week’s meal plan. I can’t wait to hear how your pizza turns out! And that zucchini lasagna looks fantastic. I am impressed. I never cook. Ever. I am the worst cook. My kids will have PTSD as adults if I cook for them. That pizza does look good though!